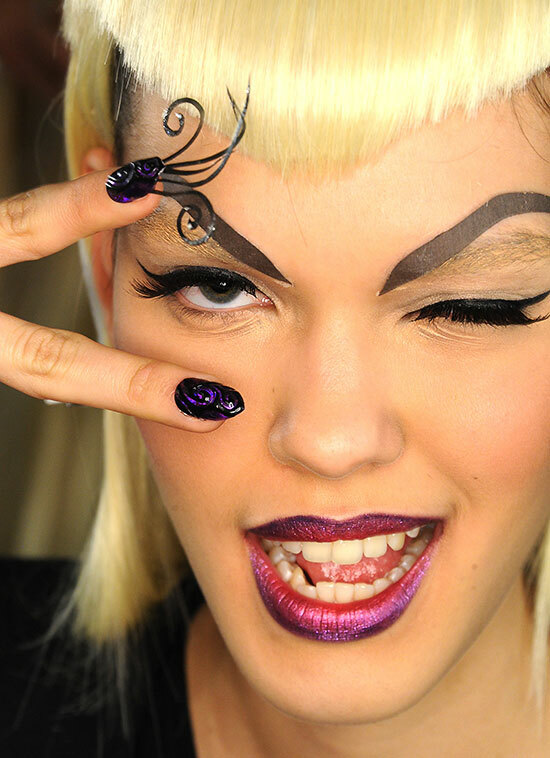 Inspired by the feminine villains of classic comic books, the look at The Blonds A/W ’14 was all about dramatic lips, bold brows and out-there nails. 23 unique nail designs that were sharp, strong, bold and intricate with extreme and pointed shapes were created for the show. CND’s artists handcrafted the nails and their dramatic embellishments with Retention+TM Liquid & Powder and BrisaTM Gel. 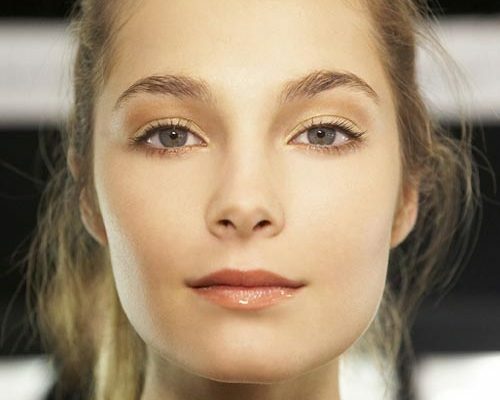 Then, layers of high-shine color were applied using CND ShellacTM and VINYLUXTM. The looks were finalized with unique embellishments, including jagged vintage jewels, Swarovski crystals, chains, pearls, leather, glitter, foil, velvet and more for a rich seductive finish.